Data center cooling represents up to 50% of overall energy consumption. An enormous amount of energy is used everyday to maintain an acceptable intake temperature to the IT equipment. In recent years, there has been no greater positive impact on the cooling of data centers than the introduction of containment. The energy savings alone has saved hundreds of millions of dollars and has greatly decreased data centers’ carbon footprint. Data center containment has virtually changed the way IT facilities are designed and operated by fully separating cold supply from hot equipment exhaust air. 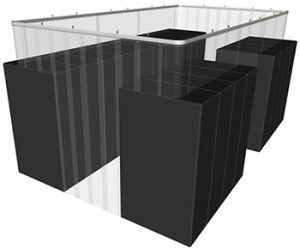 Cold Aisle Containment consists of a physical barrier that allows the supply air to pool inside the aisle. 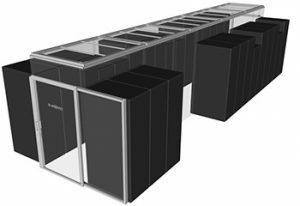 Cold aisle containment (CAC) typically consists of aisle end doors and a roof system so as to contain the supply airflow to the intake of the IT equipment. Most CAC roofs are no higher than the top of the rack. In most cases, this avoids running into obstructions such as cable trays. CAC ensures a uniform and predictable air temperature at the IT intake. Critical Components is the Southeast’s source for SubZero Data Center Containment. Serving the Southeast including Georgia, Alabama, Florida, Atlanta, Birmingham, Orlando, Tampa and Jacksonville.